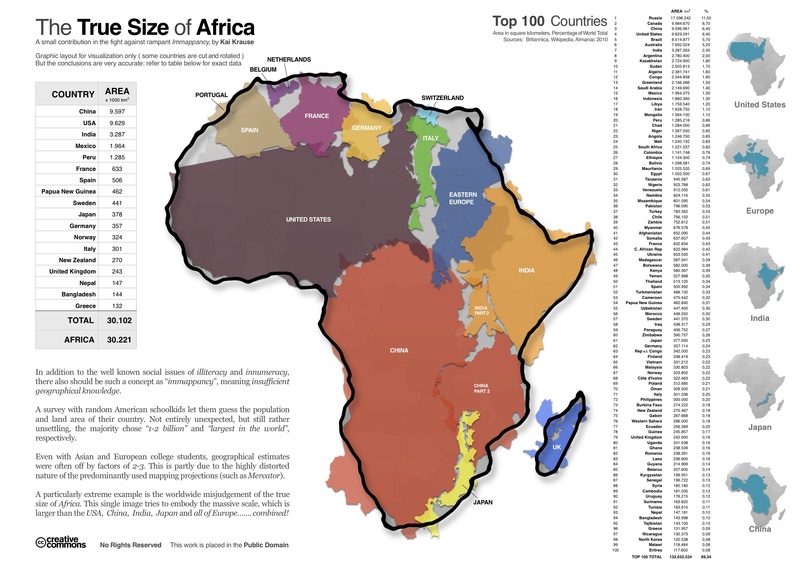 How large is Africa compared to the United States, or Western Europe? Most inhabitants of the latter places might guess it is a little larger, but few would have any idea of the scale of the difference. This has led German graphics designer Kai Krause to produce this map to shake people&apos;s perceptions a little. 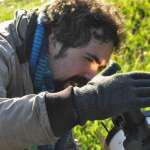 Kai Krause. Click to view larger. Any attempt to map a spherical planet onto a flat map will involve distortions of size, shape or both. There is a passionate debate among cartographers about the best way to hang the world on a wall, but most agree that the most common maps we get our sense of the world from are very bad ways to do it. The problem is that these maps exaggerate the size of the countries at high latitudes, and shrink places near the equator - leading to a perception that Europe is larger than South America, to pick just one example among many. Strebe via Wikimedia commons. The Mercator projection gives a completely distorted sense of the size of different parts of the world. Some have argued that since people associate size with importance this encourages the already strong tendency of the world&apos;s wealthiest nations to disregard those who live in the tropics. Even if you are skeptical of those theories, there are clearer examples. Krause initally released the map years ago, achieving a burst of fame. The image has come back into the spotlight with a renewed relevance recently; the Ebola crisis has led to panic about visiting Africa. Any part of Africa. Tourism in Cape Town and solar installations in Tanzania have been affected because people are scared to fly to those places, despite the fact that Paris is actually closer to the countries with an Ebola outbreak than either of them.